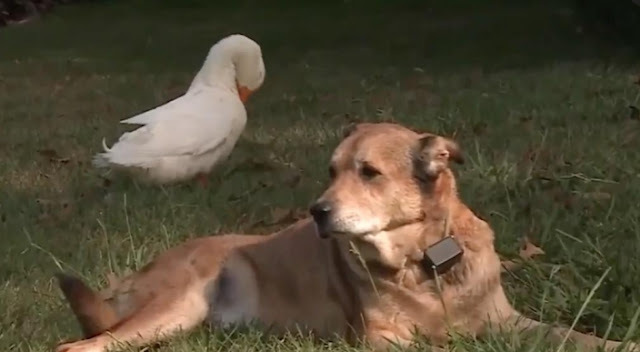 A duck became an unlikely source of relief for a Tennessee dog which had been grieving the loss of its canine friend. Jacquie Litton told WVLT her dog George had been severely depressed since the family's other dog, Blackie the lab, died two years ago. "He's almost died twice. He doesn't eat. He starves himself, and he has anxiety. He has a multitude of skin conditions from chewing on himself," she said of George. George's mood suddenly changed when a large white duck appeared at their home and seemingly developed a friendship with the mourning dog. "Since the duck has showed up, he's been fine," Litton told WKOW. "He's not wanted in the house. He's not whined. He's not meeting you at the car, ya know, looking sad." 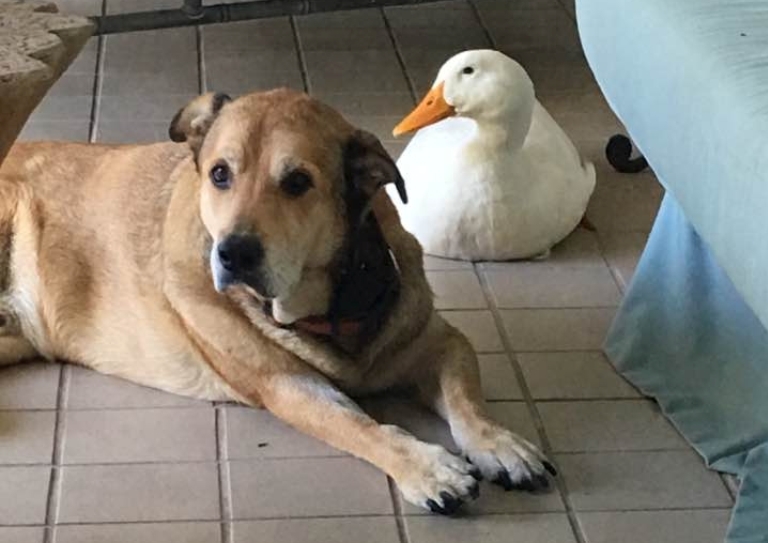 The duck has not left George's side since appearing and the dog allows it to sleep in his bed and rest its bill on his leg. "They're totally different species and they found company and comfort in each other," Litton said. Responses to "Duck forms unlikely friendship with depressed dog in Tennessee"